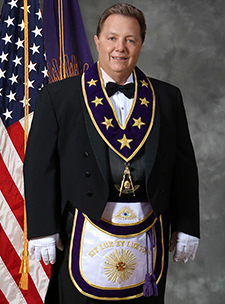 This page contains a complete portrait gallery of the Past Grand Masters of the Grand Lodge of Pennsylvania, beginning with the most recent. 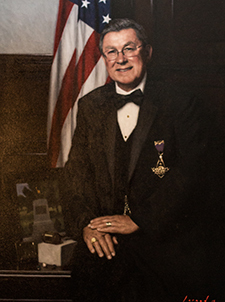 For more information about a Past Grand Master, click on his image. Living Past Grand Masters are shown in color. Deceased Past Grand Masters are displayed in black and white. To close the popup, click on the portrait again. Higher Education: Robert Morris University. Earned Bachelor of Science in Business Administration. Higher Education: Some college and service schools. Higher Education: B.S. / LL.B. Higher Education: B.A. / LL.D. Lodge: Harmony No. 429, Butler County; Corinthian No. 573, Allegheny County; Warrant Master of Col. Henry Bouquet No. 787, which later merged into Lodge No. 45. Lodge: Raised in Otsego County, NY; Charter member of Terre Haute No. 19, Indiana; admitted to Bristol No. 25. Lodge: Rising Star No. 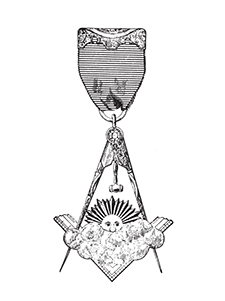 126; Temporary member of Lodge 3 during the Antimasonic period.